Great choice!!! Of the fruits you considered sour cherries are far and away the most expensive and hard to obtain, at least in my neck of the woods–I paid $4 for a small can of them at Central Market (the closest thing we have to a Trader Joes) …and a 9×13 cobbler would require 6 cans! My absolute favorite thing to do with sour cherries is make tiny pies. Use a straight sided jam jar and smoosh pie dough into it like playdough. Fill 3/4 full with sour cherry pie mixture and freeze to bake at your convenience. Cherries are a good choice! They are relatively pest free in these parts and they ripen early — before the brutal summer heat. We’ve got 3 cherry trees and each year there is a frenzy of pitting and freezing as they ripen. I chose varieties that ripen in sequence so they don’t all come on at once. But that means there are 2 -3 weeks of harvest and processing. The solar freezer is now packed with cherries and peaches from the orchard. I like the rock mulch idea too. 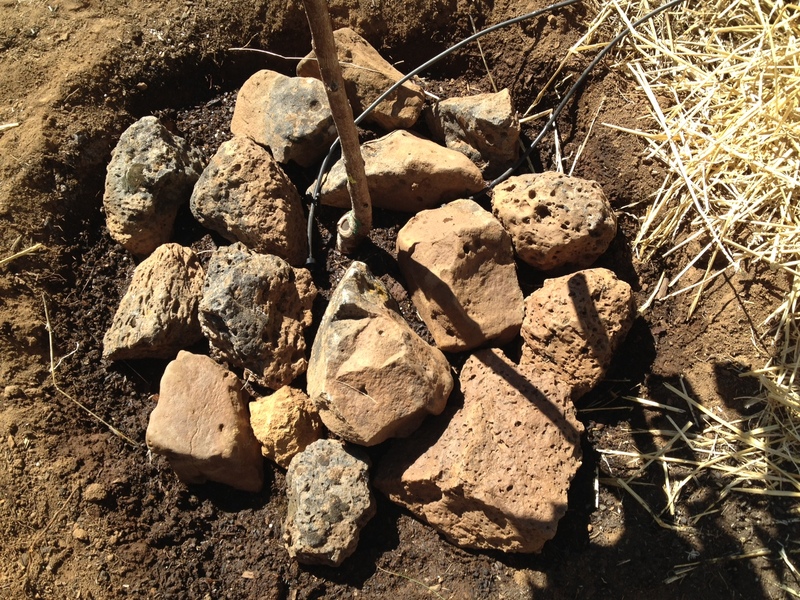 I’ve tried a variant of that by mulching with decomposed granite around the fruit trees and grapes. A word of advice: buy some netting — birds love cherries too! Good luck with that cherry tree, I hope it does well. 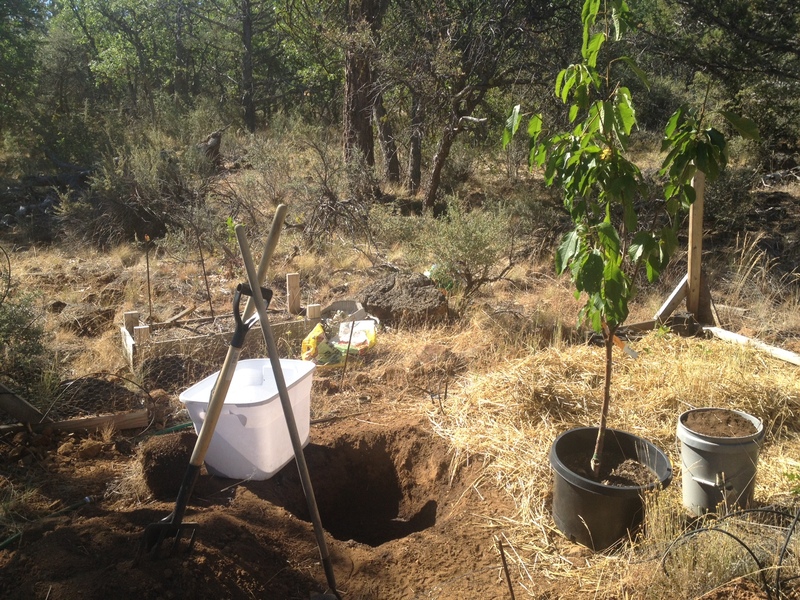 We’ve planted a couple of trees here, an oak and a willow, so far they’re doing well, but we get a LOT more rain than you do, sometimes we can get 20-30 inches of rain in one month, nearly drowning any plants! I thought another reason you chose the cherry was it’s association with Japan, after your aid trip there. Are you keeping in touch with those you helped, or your fellow workers? I don’t see any cage around it to keep the deer off, is that something in the works? Deer are h-e-double-hockey-stick on young fruit trees. They can strip it bare in no time and kill it or leave it severely damaged. 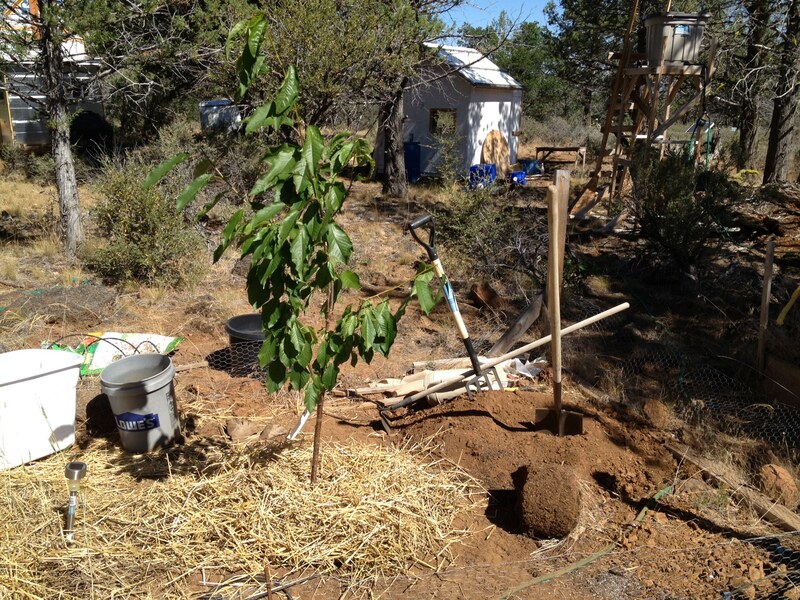 Planting a tree is such a beautiful thing to do. How are you going to protect it from deer etc? I just caught a link to your blog from Tiny House Living, and have spent the last three days reading the whole story. I look forward to your book! I’ve got some property in Northwestern Ontario, and have plans for a tiny cabin of my own. Thank you for sharing your stories, they are an inspiration. As far as cherry trees go, up here (Zone 2a) we grow “north star” cherries. If they can survive here, they would likely thrive in your moderate winters. Nice! You may need to find a way to protect it from birds though; they love cherries. None the less, it is always exciting to hear from you. I forgot to put the URL in my last comment. Love this idea! I wish we could plant a tree in some of our land in the UK but it’s only a little veg patch and don’t think the neighbours would appreciate it. 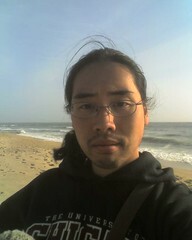 Hello Ryo, I’m glad to see that you are doing well and working in new projects for your land. Well, best of luck with your cherry tree and the water harvesting.